We've all taken pictures and video with our phones; it's a shaky and awkward process. 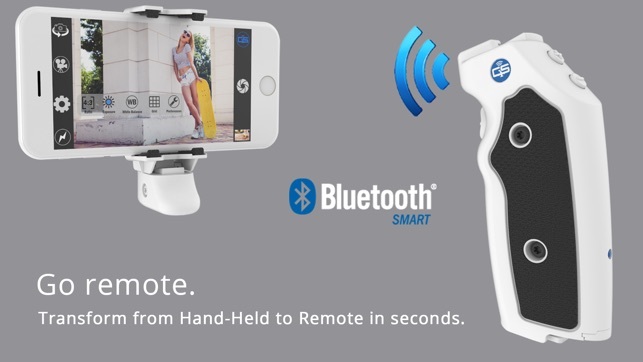 GRIP&SHOOT™ adds everything your mobile device is missing. The Bluetooth Smart Grip is easily attached and provides instant comfort and stability. Wireless buttons now provide you with full one-handed control without ever having to touch your screen. 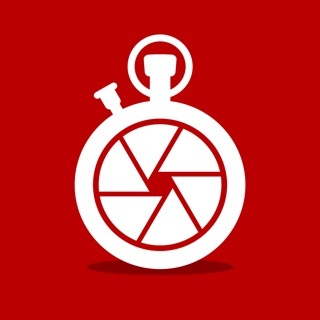 Squeeze the trigger to capture a photo or Start/Stop a video. 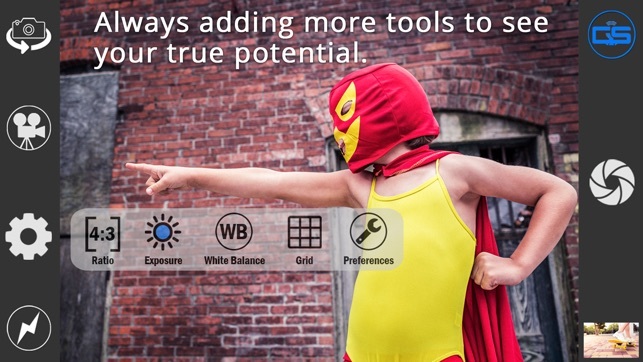 Use the +/- buttons to Zoom, Control Exposure, Switch Cameras, or anything you'd like! They are completely customizable. Detach the bottom of the grip to reveal the Removable Stand. Mount your phone anywhere or use it to connect to a tripod. 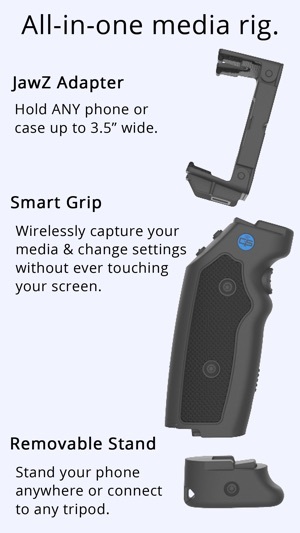 The remainder of the Grip now serves as a remote to control your device over 100ft away! The included JawZ Universal Adapter will hold any phone with or without a case (up to 3.5” wide). -Full support for iPhone X.
Ive been looking for an all-in-one gadget to improve my mobile videos and photos. Grip and shoot hits the nail on the head! My favorite part is the remote feature for my video interviews. Having Bluetooth capabilities really takes the edge off my subjects and lets me retain control of my setup. New permanant addition to my camera bag. 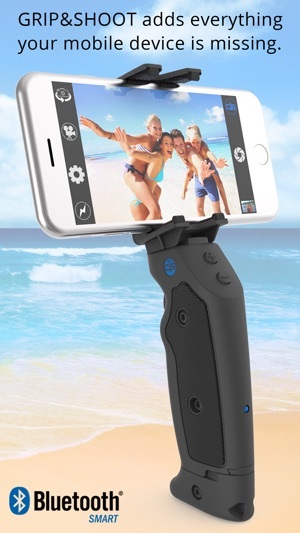 This is very handy and easy to use app for taking photo and video without touch screen. I'm just pleased that it is so easy to use to get whatever I need done actually done.